In an address to the Hungarian Chamber of Commerce and Industry today, Prime Minister Viktor Orbán boasted of successful economic policies before pointing to the maintenance of Hungary’s ethnic homogeneity as a key to improving its international standing. Orbán said Hungary “must continue on its current path” and ensure GDP growth of 3-5 percent annually between 2017 and 2020, and improve its declining competitiveness to ensure growth of more than 5 percent in the years thereafter. The country must also struggle against dangers posed to its tax system and labor policies by the European Union, in addition to protecting itself from foreign influence and illegal immigration, he said. Orbán claimed that Hungary had become self-financing since paying back its IMF-EU loan, and has increased its issuance of Forint-denominated debt securities and reduced the amount of state debt held by foreigners. He said more than 50 percent of the banking system is now owned by Hungary, the “Eastern opening” economic strategy was successful, and taxes are down. The prime minister also spoke of a renewal of Hungarian industry, pointing at attempts to revive bus manufacturing, agriculture, and the workfare-based economy. According to a summary of his speech published on the Prime Minister’s Office website, Orbán was critical of the notion of providing welfare for those who do not work. “Hungary’s ethnic relations are complex, so this isn’t an easy issue,” he said, adding that the country’s competitive labor market makes “such ideas completely unimaginable”. 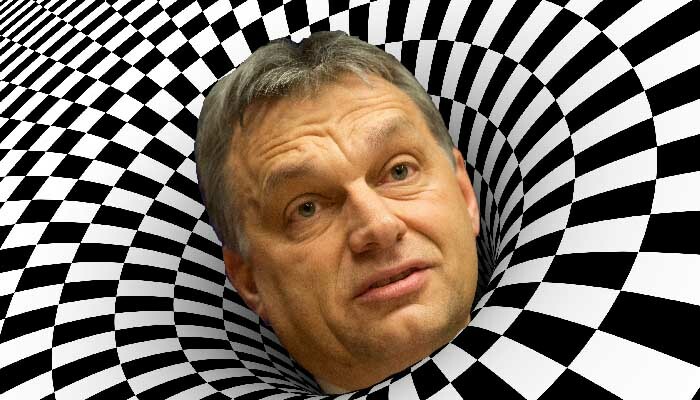 To improve Hungary’s international standing, it must protect its ethnic homogeneity because “too much mixing causes problems.” Being a “single color” was important (the statement released on his website uses the word “egyszínűség”, which in English would translate to the exact opposite of “diverse”), as was strong public safety, and having a “clean, green Hungary”. “It is also important that Hungary’s greatness and desire to be great not disappear,” Orbán said before comparing the abandoned 2024 Budapest Olympics bid to receiving bruised ribs. The prime minister said Hungary’s economic situation is promising but the legacy of communism has caused Hungarians to treat good news with cynicism. Hungary needed “big things” to happen if it wanted to climb out of the trap of being a medium-developed country. To illustrate, he cited plans for a modern Budapest-Belgrade rail line, the Paks II nuclear plant expansion, and expanding the Békéscsaba-Debrecen highway to include four lanes.